I don’t have enough time for a job. My schedule doesn’t allow me to leave campus EVER! Between night classes and busy mornings, employers just aren’t willing to work around my schedule. There are literally hundreds of excuses that could be made for not getting a job during college. It’s totally understandable! You’re a busy person who has to put school as the priority, and that unfortunately means that making money as a college student flies out the window. Fact: Making Money as a College Student Really is Possible! How you ask? By side hustling. If you’re scratching your head right now trying to figure out what in the world I’m talking about, then you’re really going to like this news! As a side hustler, you can control your hours, do things you love, and make money along the way! Ok, I Hear You, But How Do I Actually Get Started? It’s your lucky day, my friend! 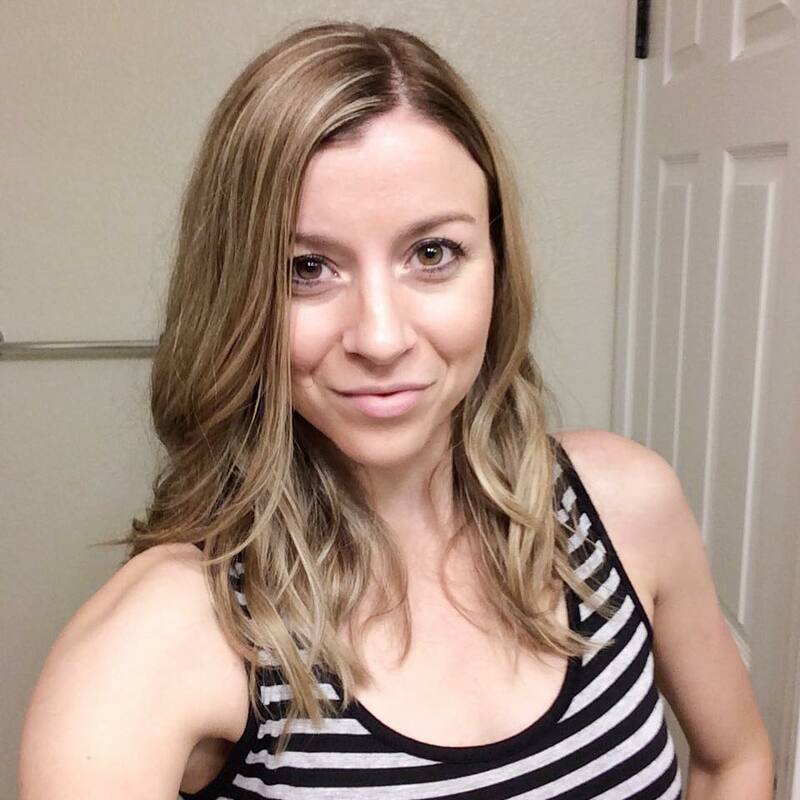 My blogging buddy, Courtney @ As We Stumble Along, just put together this amazing ebook/workbook, How to Side Hustle in College, that tells you exactly where you can get side hustle gigs and how much money you might be able to make from each. I had a chance to read this book myself and I seriously wish that I had known all of these things when I was in school. Who knew that making money as a college student really could be that easy?! Do I Really Have the Skills to Do This? Absolutely! In fact, side hustling is perfect for college students because it allows you to really hone on those skills that you want to grow, while also giving you the flexibility to work when you have the free time. The opportunities really are endless when you start to think creatively! The other awesome part is that How to Side Hustle in College is on a pay-what-you-want pricing plan until November 9th, and then it’s only $10 after. This ebook literally pays for itself, even if you only do one of the things listed. Just Think of All the Things You Can Do! Not only do you have more control of your schedule when you choose to side hustle, but you have the ability to make even more money than you would get from working at the mall or a local retailer. Additionally, you gain valuable experience that can be added to your resume! What if I start a side hustle and find out that I hate it? No worries! You can simply finish what you were working on and move on to something that sparks your interest more. For example, if you found that tutoring wasn’t a good fit for you, then maybe you want to start offering design services. Did I mention that you’ll have some extra cash? Obviously, being in control of your schedule is a wonderful perk in itself, but having the ability to make extra money to pay bills, buy things, or go on adventures with friends is even more exciting! 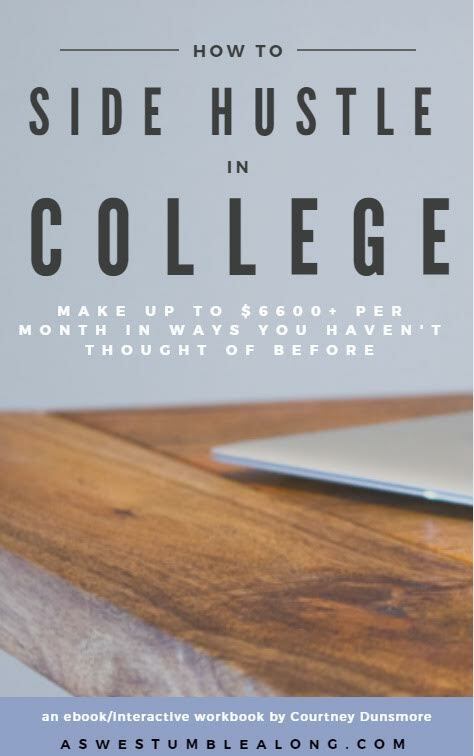 Courtney knows that having an extra income can really be beneficial for college students, and that’s why How to Side Hustle in College lists so many different options, as well as how much money can (roughly) be made from each one. I say roughly because you are in control of how much you want to make, and that’s a good thing! It’s simple! Just head on over to How to Side Hustle in College and get your copy today! Everything is electronic so you’ll have access to the material right away. Talk about convenient! Have you side hustled in college? Tell us your experience in the comments below!